Summer is well and truly here (although someone should really tell the temperature to keep up!) but the wedding season has been going for a few months longer. 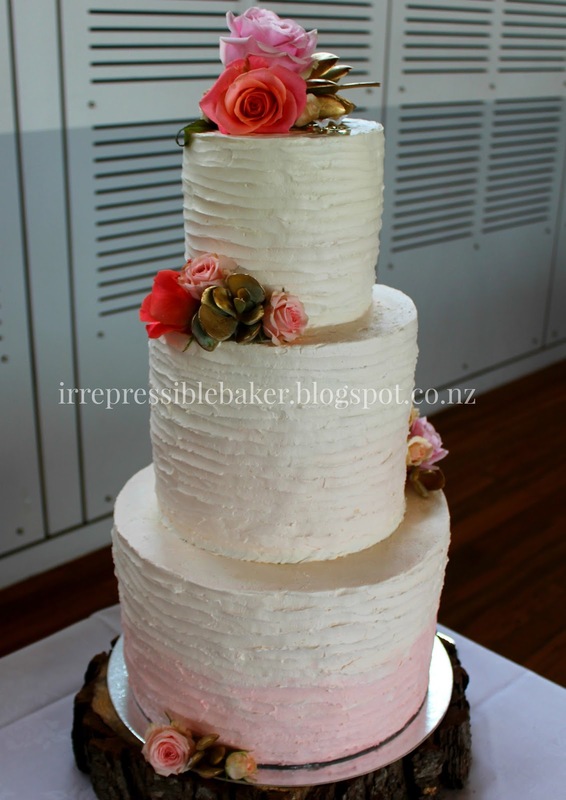 I’m playing catch-up with posting about this cake which I made in November for a lovely couple – an engineer and an architect. For those not familiar with the irony of such a pairing, it’s an unwritten expectation in the industry that engineers and architects don’t get along! Engineers often get annoyed with what they see as the ‘impractical’ plans of an architect. I’m sure you can imagine that architects would be frustrated by what they perceive to be an engineer’s desire to suppress their creativity in design by emphasising only practical/safety needs and not aesthetics. The bride has kindly allowed me to share their profesh photos taken by the talented Peanut Productions – click on their name to see their work and get in touch. I’ve credited their images amongst those below, and the rest are by yours truly! 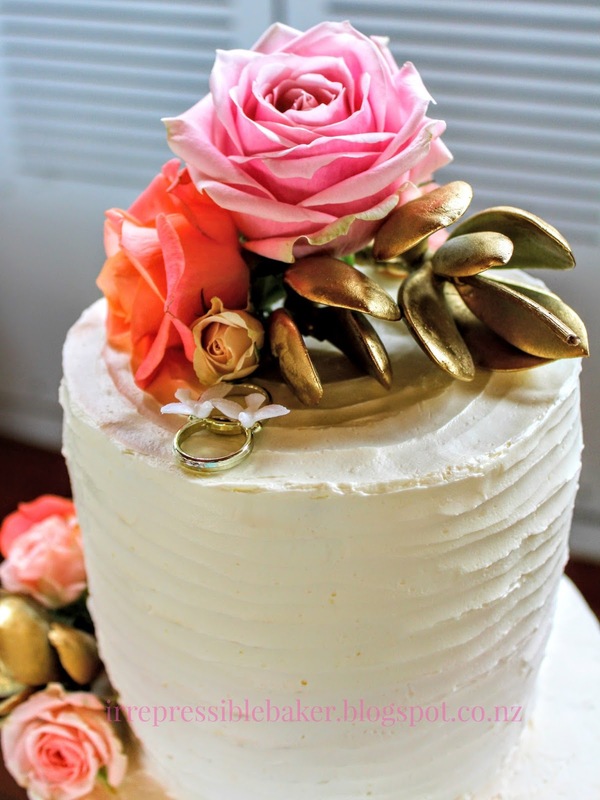 Bottom tier: three layers of 12″ chocolate cake made using pastry chef Jenny McCoy’s recipe from this Craftsy class. 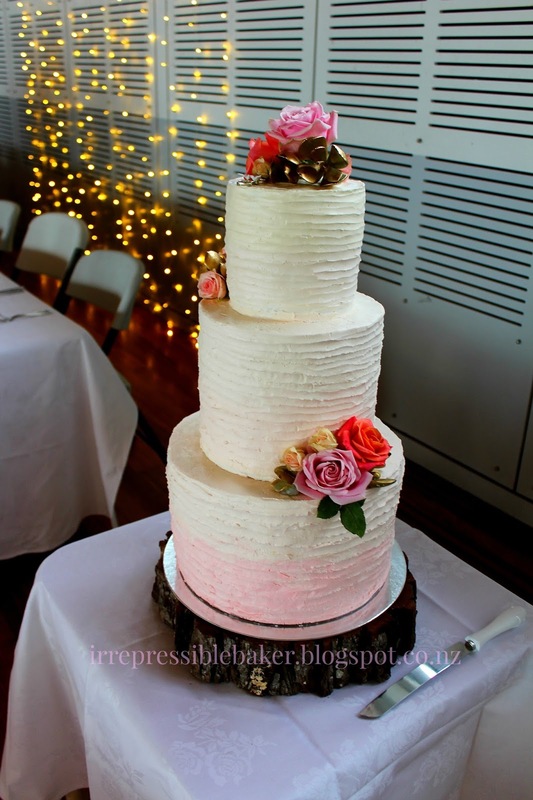 I can’t find it available anywhere on the intertubes, and in the past I’ve used this one from Sweetapolita (re-blog) but I needed a slightly firmer cake to hold up with that many layers and Jenny’s recipe does the trick. The layers were filled with chocolate buttercream from i am baker’s recipe (there’s another, similar choc cake recipe at that link, too). 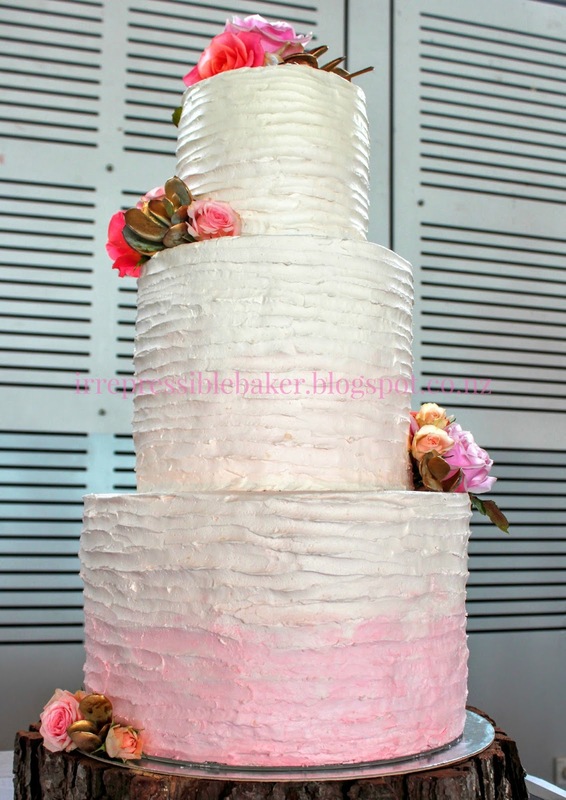 Middle tier: three layers of 9″ lemon yoghurt cake à la Chelsea Sugar’s recipe, which I tested along with a couple of others and came out trumps in terms of texture and stability for holding up in a big cake like this. I ‘soak’ the cooked cake layers in lemon syrup (also from recipe) by poking holes in the cake while it was still hot and squirting the syrup all over it. Paired with lemon curd mixed through basic buttercream, what’s not to love for the lemon lover?! 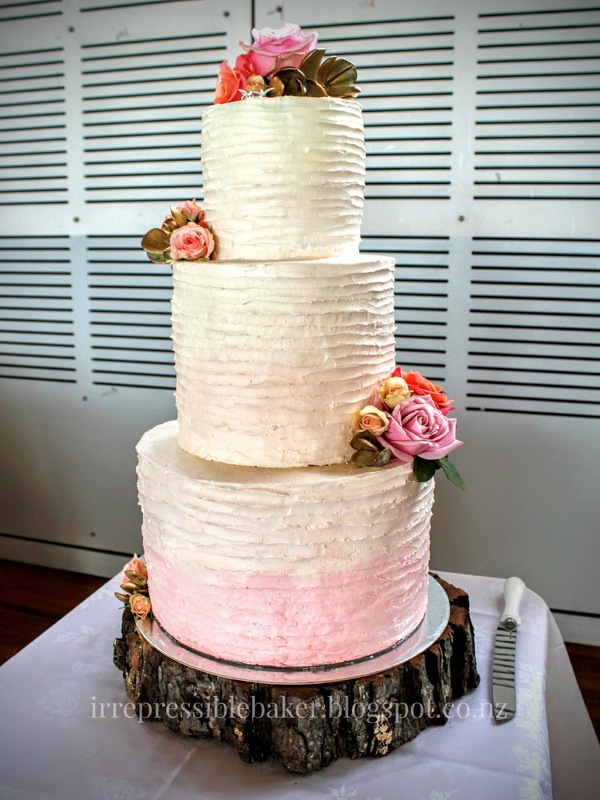 Top tier: three layers of 6″ fruit cake filled and covered with white chocolate ganache, to seal the cake for later, when the bride and groom could enjoy it at their one year anniversary. 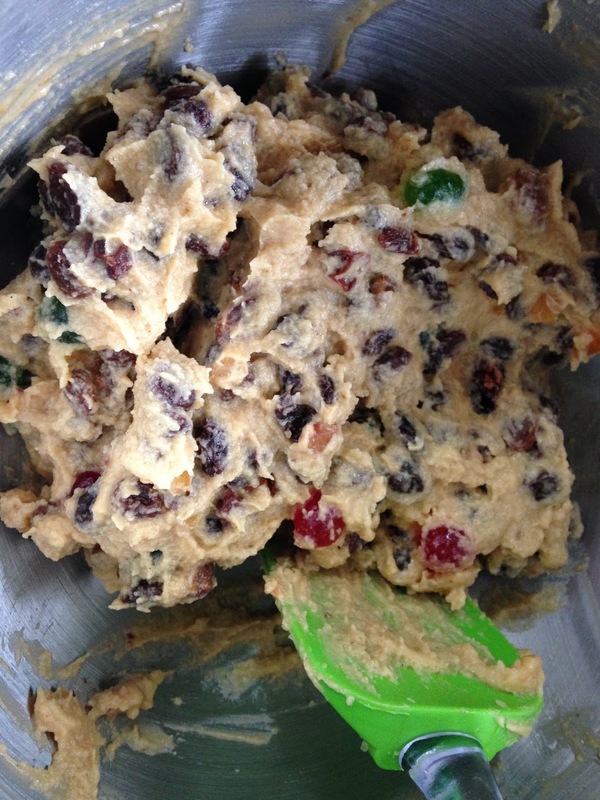 Now here’s the thing… this was the first time I’ve been asked to make a rich, solid, like-your-gran-makes-at-Christmas fruit cake. 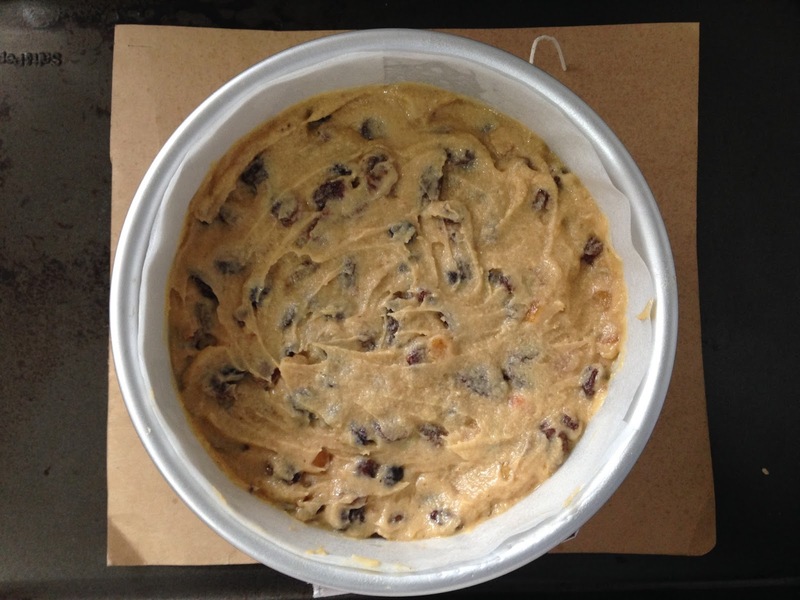 Fortunately my lovely MIL (Mrs Adams) was happy to share with me the fruit cake recipe she had, which had been given to her by her MIL (also Mrs Adams) who had probably gotten it through her Cake Decorators Guild. The quantities below make sufficient batter for a 10 inch square cake, but I only needed a wee 6″ round cake for this wedding. So I multiplied the ingredients by 0.4 to make 4 eggs’ worth of the recipe and split it evenly between two tins, and it cooked in 3 hours to produce 2″-high cakes. Lin your tin(s) with baking paper. Place a thin sheet of cardboard onto an oven tray and put your tin(s) on top. Cut a narrow strip of cardboard and wrap around each tin, securing with masking tape. 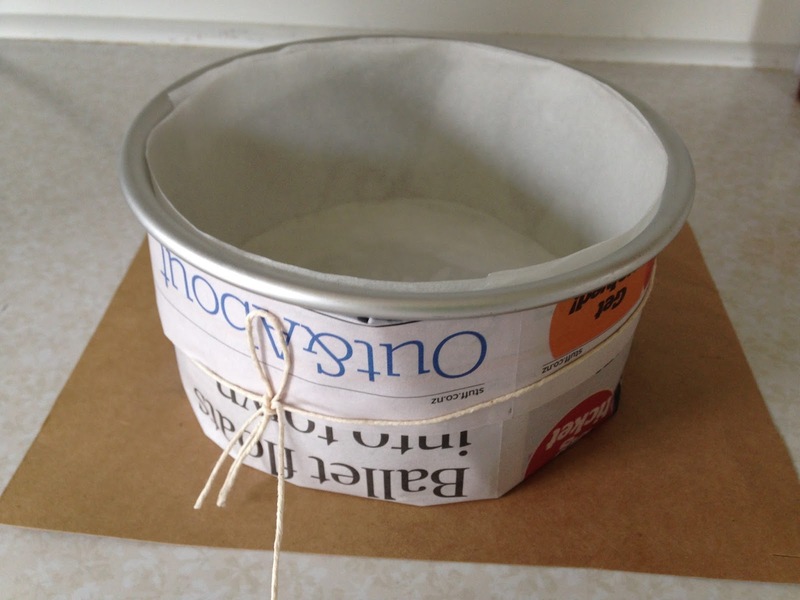 Roll up sheets of newspaper into flat strips that reach around each tin, securing with masking tape (over top of the cardboard strips) then tie cooking twine (e.g. cotton, not plastic!) around each tin – see image below. Place the butter and sugar into a stand mixer (or use a handheld one) and cream until combined and lighter in colour. Add golden syrup and eggs one at a time, beating well after each addition, and lastly beat in essences. Sift flour and baking powder into a separate bowl, then fold into the batter. Lastly fold in the fruit mix with its ‘juices’. Given the veritable ‘institution’ that is the making of fruit/Christmas cake, I was surprised at how easy the whole process was: cream butter & sugar, fold in flour and fruit, nothing unmanageable. The only bit to really worry about is not rushing the baking – it really does take that long to cook, so patience is the virtue in question.